A forklift certification in Utah is one of the most important criteria to land a great forklifting job with a great company. Without getting forklift certified, no good employer will hire you, and you will not be able to touch a forklift, let alone drive one. It is a violation of Federal law for anyone UNDER 18 years of age to operate a powered industrial truck or for anyone OVER 18 years of age who is not properly trained and certified to do so. So if you are thinking about getting a good job without a valid license and a proper forklift training, then you are out of luck, pal. It’s not at all hard to obtain a forklift license in Utah, and the process is not time consuming or expensive. So, this article will help you achieve your goal of securing a good job and get you ready for your new career in this productive state. 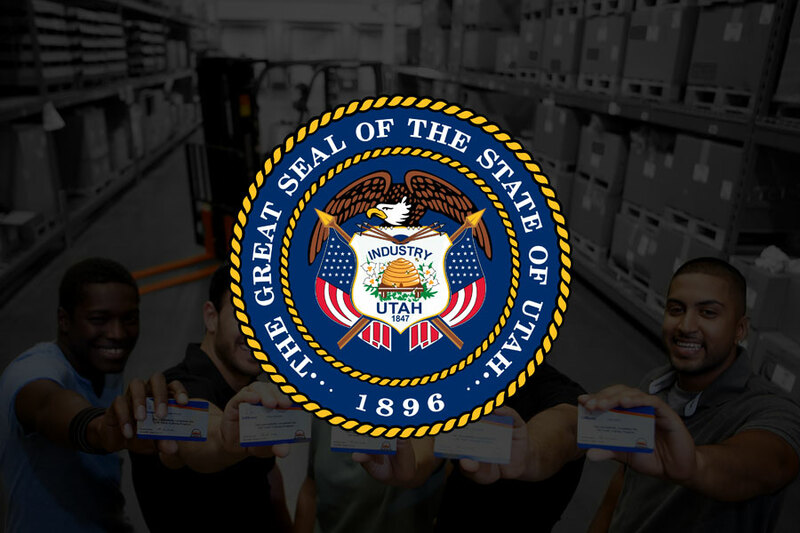 Utah has many great opportunities for skilled forklift operators with freshly acquired certification. There are many other benefits to getting your certification as well which we will also cover in this article. This article will give you all the tools necessary to not only get licensed and get a job but also how to keep it up to date. 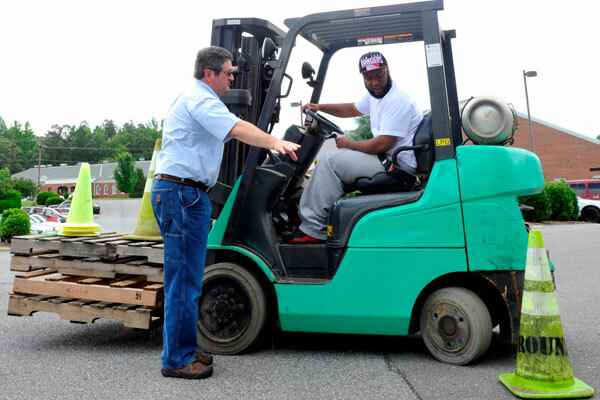 The requirements for getting your forklift operator certification is simple. The main reason for this being is that Utah follows the straightforward standards that are set by OSHA. Although these rules are standard, they are very important to follow and to know. 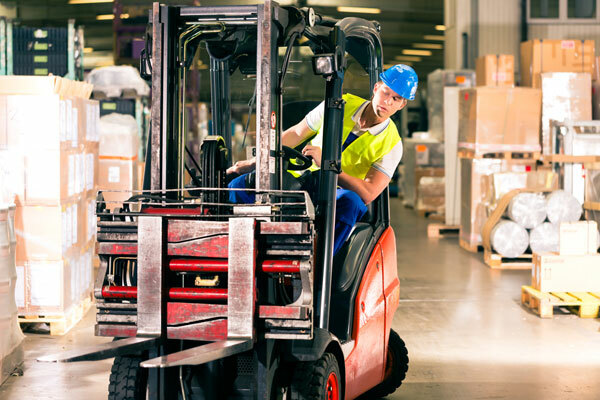 The first requirement set by OSHA is the fact that you need to have a fork lift certification in order to operate a forklift. To get your license though, you must go through training, which brings us to our next requirement. All forklift training schools must follow the three-part training model and include lecture, written assessment, and physical evaluation. We will go more into detail of this training model later in this article. Also, as a requirement, an trainer must be qualified to teach this course. 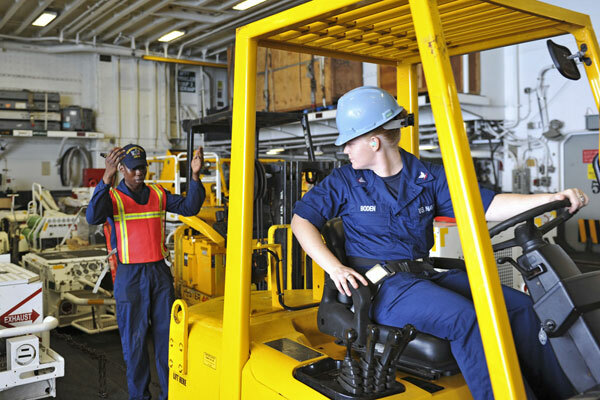 This means that the instructor must be a veteran in the field and be trained on ALL forklifts. 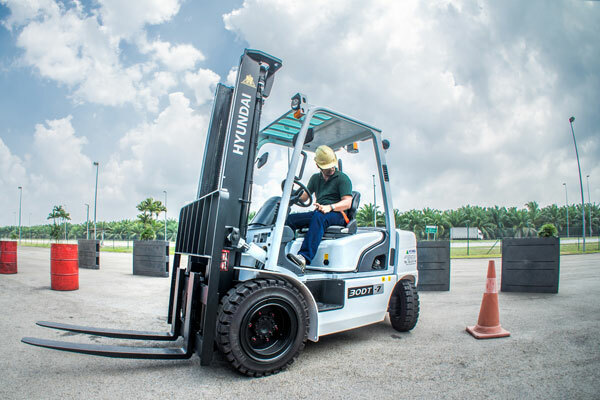 Now there are not only requirements for training standards for forklift certification in Utah, there are also personal requirements that one must fulfill before starting training. First off, you will need to be a legal adult, this means that you must prove that you are at least 18 years old. A driver’s license or recognized state I.D. should be adequate to prove you are of age to operate a forklift. Next, to be in this field, you need to be in good physical shape and be able to get up and down out of the forklift with ease. Also, in your position, you will need to be able to lift at least 50 pounds and be able to lift cargo onto pallets so that it can be moved. Employers will usually look for someone with the minimum of a high school diploma or GED equivalent. This is so that they can make sure that the employee has the basic skills of reading, writing and communicating. One must never be under the influence of drugs or alcohol while driving a forklift. This should be common sense, but you would be surprised how many accidents happen while under the influence. These skills are not only needed but are crucial to the safety of you and others while operating this heavy piece of machinery. Now that we have gone over the requirements need to become licensed, we can move on to the actual process of getting forklift certified. 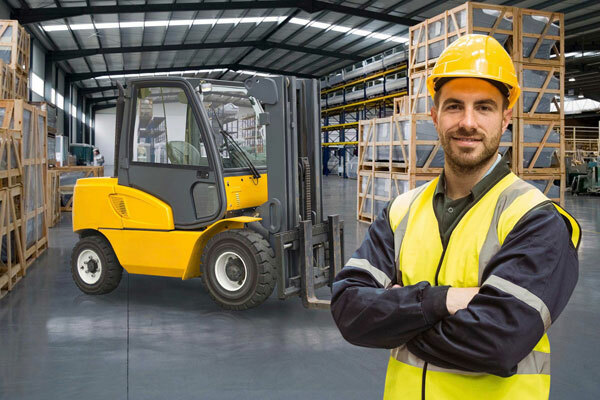 Getting your forklift operator license in the state of Utah is an easy process, especially when you break it down into simple steps like we will in this section. The first step in this process is obviously making sure that you have all of the requirements, which we went over in the first section. After you have checked that off your list, you will need to find a fork lift training school. As stated earlier, this cannot be just any training facility, it will need to provide the adequate training model that includes all three parts. These parts include a formal lecture in which a professional trainer will teach all of the OSHA regulations and basic forklift essentials. These essentials include how to inspect a forklift for errors, how to move a load safely, how to park a forklift and refueling procedures. The second part is the forklift certification test (written test), usually consisting of multiple choice, that will cover all of the material during the lecture. Most importantly the third part will be a physical evaluation, which you will be required to maneuver a forklift through many different scenarios. This last part is what sets this training model apart from other types of training, such as online training. When you go to search on the Google for “forklift training school near me”, you will find all sorts of ads for getting your online forklift license in Utah. These types of training are not adequate for someone looking to get their certification for the first time. Having that third hands-on training evaluation is not only necessary, but it will also be extremely beneficial to you in your career. When you are doing your search, make sure that you search for actual places of business near you, that have a physical address. Usually, places of business will have online reviews which will be a good idea for you to read the reviews to make sure it is legit. If you ever have any doubt, ask your future employer or people in the field, which forklifting school they prefer. You never know, your future employer could offer forklift training on-site which will save you time and money! Now that you know the ins and outs of getting your license let’s go over what kind of job opportunities that you can expect to see in Utah. To obtain your forklift certification in Utah, you will need to enroll in one of OSHA forklift training classes and complete your training. Here is a list of schools for forklift training in Utah state where you can get your on-site forklift license. OSHA forklift certification locations in Utah in the alphabetical order. The state has many job opportunities for operators with a valid forklift license in Utah, mainly within the agriculture arena. Utah’s major industries are coal mining, cattle ranching, and salt production. All of these industries move major product all around the world. Think of how commonly used these products are every day. These are the type of industries that need hard working forklift operators to help move cargo fast. If you happen to live next to one of these production fields, then you are in luck and should apply! Chances are these agriculture type jobs are out in the country, but if you live in the city you are in luck as well! Uinta Brewing Company is located out of Salt Lake City, and they are a brewery big enough to ship all around the country. This is good for you, because yet again they need someone to move product to warehouses until it reaches its final location. Of course, there is the old standby of applying at airports. Lucky for you Salt Lake City International Airport is ranked #24 on the list of busiest airports in America. This airport is in an excellent location by being located just 4 miles away from downtown Salt Lake City. No matter where you are located in this state, there is industry for you to apply to. And don’t forget to put all of your past job experiences on your forklift operator resume. Whether you find a job or not, depends on how well you dig in and research companies near the town or city you live in! Now that you are excited about the job opportunities in this beautiful state we can go over the benefits of getting certified. Most importantly, your certification is your ticket into the field. These job opportunities that are available to you will mean nothing if you don’t have your fork lift operator license. The vast majority of companies will not even think about hiring someone that doesn’t have their license. This is because it is a major liability, think about it: hiring operators with no training or certification equal more accidents. This in turn, equals more fines and fees which not only cost the company its revenue but precious time as well. Being sued can not only be expensive it could damage a company’s reputation and shut it down. It is simply not worth hiring someone without a forklift operator certification, especially when they have a line of licensed operators at their door wanting a job. Hiring an employee with a fresh certification will boost their bottom line as they are ready to start work immediately with no time wasted. So, the more training you receive, and the more forklifts you can operate, the better your chances of getting hired. Take extra training, you may get offered more, and you will move up faster the more knowledge you have on forklifts. Not only that, once you receive top of the line training, you will be ready to start your new job at the top of your game! There are literally no reasons for you not to get your forklift license in Utah as soon as possible. Now that you have learned the many benefits to achieving your license or certification in Utah, we can get down to the numbers. Everyone has bills to pay, and by now you may be wondering: how much will I be able to save after all my bills are paid? Forklift operators in this state can expect to see the average salary for forklift operators in the United States. Although cost of living in Utah is fairly low, so it makes it easier to save. Not only that, most employers will offer competitive benefits such as discounted health insurances, 401K savings accounts, and bonuses. Before you apply for a position, shop around and ask employers what benefits they offer. By doing this, you ensure maximum savings so that you can live comfortably and not check to check. Depending on where you live, you will see a variety of different salaries. For instance, in Logan, operators who have their forklift certification in Utah can expect to receive around $32,000 a year, and in Saint George they can make upwards of $36,000. So, it seems as the bigger the city, the more demand there is for forklift operators and the more pay you can expect to see. Location is not the only thing that affects pay though, so does experience and forklift training. If you don’t have your license, you can expect to be paid far less, even minimum wage. Getting your license is the key to getting a competitive salary in this field, or even a job for that matter. Furthermore, for a skilled operator, there are a lot of opportunities for growth within the company. 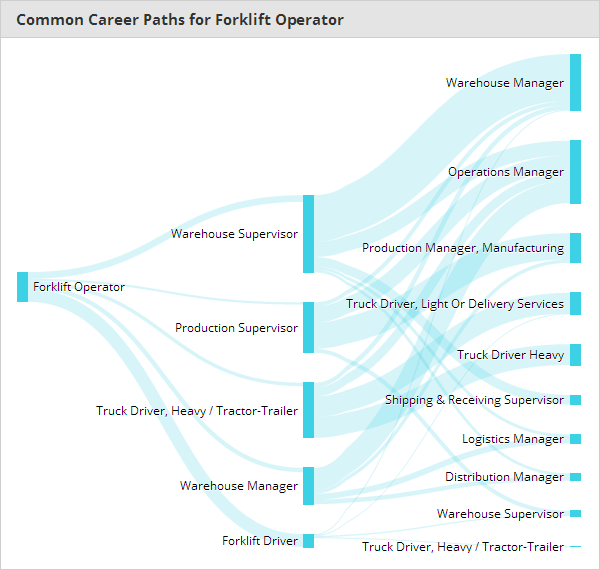 Following image shows what higher positions in the warehouse can a lift truck driver be promoted. Now, let’s look at how much does a fork lift operator make in different cities of the Utah state. The table below shows fork lift operator’s annual base salary for 11 major cities in the Utah region. 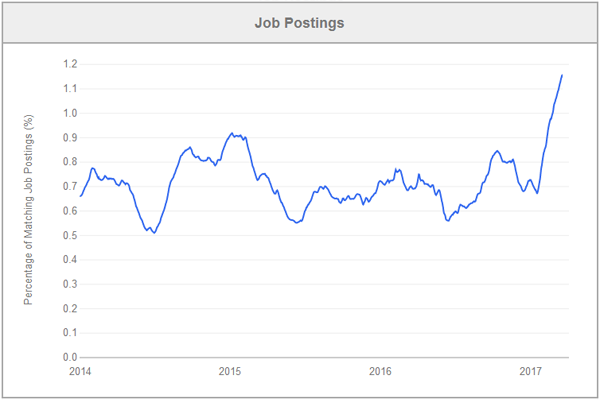 * Certified forklift operator salaries were last updated on April 1, 2019. Now: Did you know, a fork lift operator in Oregon gets paid at $16.50/hour on average? Well, they do and if you are looking to get forklift certification in Oregon, then you must check our guide to see how to get your forklift license. Once you get your forklift license in Utah, there are steps that you need to follow in order to keep it. In this section we will go over exactly this so that you can keep your license for the duration of your career. The mandatory minimum period for forklift certification renewal is every three years, set by OSHA. Since you have already completed the whole three-part training, most likely you will only need to renew your certification online. Always check with your manager or OSHA representative to make sure that is all you need. Although, if you have ever been involved in an accident of any sort you will need to renew your license at that time. In this situation you will most likely be sent to a forklift training facility and will need to complete all three parts again. Depending on the severity of the accident or if you were under the influence you could have your license revoked and lose your job. The only way to prevent this is to pay attention during initial training and be very careful to follow all regulations while operating a forklift. 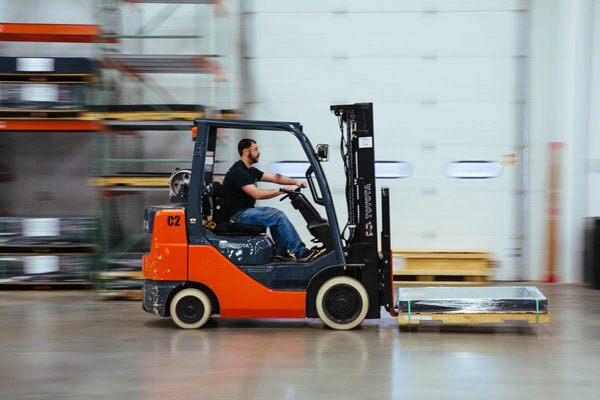 If you still have any question or need more information about forklift certification in Utah state, then you can get in touch with the Utah Labor Commission or an OSHA Area Office in Salt Lake City, Utah. Getting your forklift license in Utah to become a certified forklift operator is a fairly simple process that leads to a very rewarding career. Although there are many pre-qualifications that you must check off to make sure you are ready for this kind of responsibility. After you make sure you are ready, then you can start training for your new position. This is a crucial point in your career because you will need to be on top of your A-Game so that you can absorb all of the information you will receive. The topics you will learn will last your entire career, and failure to adhere could result in your license being revoked or worse. If you are a good listener and a rule follower you should have no problems keeping your license. Utah has many opportunities just waiting for someone like you! So, what are you waiting for? Go and get certified today! Now, I have laid out everything that you need to know about getting your forklift certification in Utah, but if you still have any questions, you can ask them in the comments section below, or you can also email me. Applying for forklift certification in Florida, check our FL guide!